Dr. Anna Edwards received a Bachelor of Science degree in Physical Therapy from the University of California at San Francisco, a Master of Arts in Exercise Physiology from San Diego State University. a Masters of Business Administration from the Executive Management School of Business at San Diego State University and a transitional Doctor of Physical Therapy degree from the University of St. Augustine for Health Sciences. Anna Edwards is an Assistant Professor teaching in the Advanced Adult Neurorehabilitation, leads the Pediatric Physical Course, and is one of the designers and the coordinator of the patient participant lab events on campus. At the University of St. Augustine, she has taught in the Neuromuscular Series classes and as the first ACCE on the California campus taught in the Physical Therapy Practice and Internship courses. She is the POINT Lab Participant coordinator to provide students lab opportunities to work with pediatric and adult clients with neurologic issues. Her clinical career has focused on neurological rehabilitation across the lifespan and in all setting from inpatient rehabilitation and in all out-patient settings including school based practice. Her practice has included a special interest in the evaluation and selection of assistive technology, power mobility, and augmentative communication systems for persons with Developmental Disabilities across the life course. Her research interest focuses on the clinical management across the lifespan, inter-professional collaboration to improve patient care, and the development of the profession of physical therapy. Prior to the opening of the San Diego Campus, Dr. Edwards developed the liaison with the San Diego physical and occupational therapy community and was instrumental and a strong member of the development team for the San Diego Campus. Since her graduation from physical therapy school she was active in national, state and local APTA activities serving as a California delegate to APTA House of Delegates, past California Chapter Board Member, San Diego District Representative to the CPTA Assembly of Representative and on the executive committee of the San Diego District. Nationally, she has served on the Program Committee and as a board member for the Section on Health Policy and Administration. She was instrumental as coordinator of the LAMP Summits which focused on how leadership, administration, management and professionalism. This grew into LAMP Institute for Leadership and Physical Therapy. 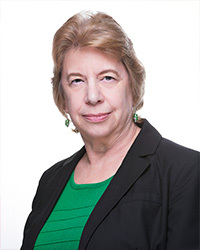 In recognition of her Service, she was the 2008 Recipient APTA Health Policy and Administration Section Service Award, 2010 Recipient of CPTA Charles Maestro Service Award and the 2015 Recipient HPA Lamp Lighter Leadership Award.